Rajya Vyaavasaayik Prashikshan Parishad, Uttar Pradesh conducts admission process for UP ITIs. 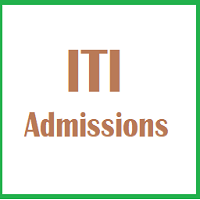 Applicants can register themselves online for UP ITI admission. UP ITI 2019 online registration will be started probably in the month of April 2019. To fill the application form of UP ITI Admission 2019, Candidates can also follow the steps given below. Candidates are advised to read the complete details, before filling the application form. UP ITI 2019 Application process will be started from the last week of April 2019. 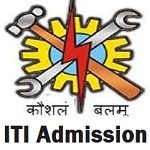 Click Here to apply online for UP ITI Exam 2019. The minimum age of candidates should be 14 years as on the year of admission. No relaxation will be provided in a minimum age limit. There will be no upper age limit criteria. Candidates should have passed their high school education from a recognized board. Detailed Eligibility criteria (branch-wise) is given below. The eligibility criteria for the following branches will be: 10th Passed. The eligibility criteria for Interior decoration and design and Architecture assistant will be a 10th pass (under 10 + 2 system) with science and mathematics subjects and with a minimum of 40 percent marks. The authority will announce the result online on its official portal. Candidates need to open the official website link. Enter the roll number and date of birth in order to check and download the result.